I suggest anyone sourcing plastic injection mold tooling in Low Cost Countries to make the visit, send a watch dog or anything else to mitigate potential issues. I sourced plenty of plastic injection mold tooling in Low Cost and High Cost countries in Asia during my career with a Japanese owned company. Only one thing made me sleep at night when I have millions of dollars and tight performance timelines. I made the circuit of visitations to the engineering groups, tooling fab shops (all of them including 3rd tier) and plastic molding shops. There is nothing worse than have a several hundred thousand dollar injection molds crash and burn passing the 1000 shot mark. It leaves a mental on you when it happens. China has a wide variety of skill sets available from high end to the lowest low. The culture is open to interpretation when the plastic injection mold shop decides how to design the cavitation structures. I suggest having your own injection mold tooling expert and engineering determine the way the cavities function. I also suggest having certifications on hand for all the steel used in the plastic injection molds. This would include all receipts and traceability documentation. There are different levels of quality in China for steel and you made have a variety of heat transfer issues associated with it. 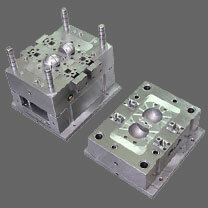 In short, the USA and others are leveraging the moment and getting some quality plastic injection molds out of China. Check the references and make sure you call non-competing companies to mitigate your risks. Also hire people that project managed these types of injection mold suppliers to deliver exactly what you ordered.